With everything that’s going on in the news, all the tragedy and hate and violence, it’s sometimes easy to forget just how amazing our world is. One of the great things about holidays like Christmas is that it reminds us of this, that there are still good people in the world and that they, in fact, outnumber the bad by a large margin. It also reminds just how much progress we’ve made in terms of technology, too. I was reminded of this just this morning. One of my favorite digital media distribution companies (all hail the Bezos) had its Christmastime $5 digital album download bonanza, of which I gladly partook. My tastes in music tend to run a little obscure, so for a long time I was always looking for CDs at the local record shops, hoping against hope that something that they would carry the latest album by whatever European band had caught my fancy recently. Then, there wasn’t too much hope of that. Just enough to whet my appetite and make me realize just how much I was missing. I didn’t have too long to wait for the Internet to catch up, and many of the albums I was looking for could be bought online for a reasonable price. Then digital distribution became a worldwide phenomenon, where even independent bands from other countries could join in on the fun. Now I tend to take this for granted, waiting impatiently for the latest DragonForce album’s price to drop (which it did, thank you very much). But I’m glad I live in a world where I can take this for granted, because hoping that I can buy that latest album is one more frustration I don’t have to deal with anymore. I know I can get it instantly with nothing more than the click of a button, and I can even wait for a lower price if I want to. Of course, my other favorite form of digital media is the ebook. Prices tend to fluctuate even more with ebooks and I watch those prices even more closely than I do music. A lot of good ebooks are on sale right now, and I almost wish I could buy them again, they’re so cheap. 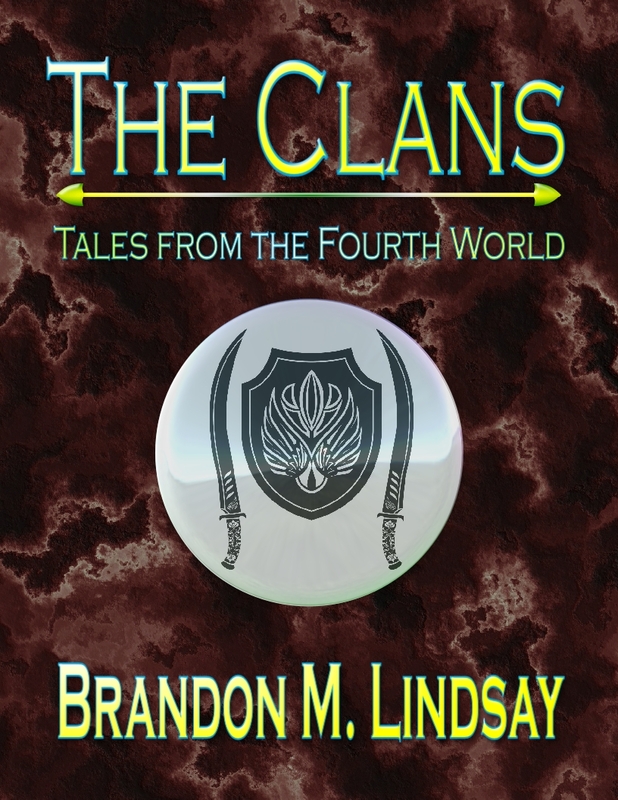 And for the rest of the year only, I’ve made The Clans: Tales of the Fourth World, free on Smashwords. If you’ve been watching and waiting for this as eagerly as I do for other books, now is your chance. I’m not sure if other sites will pricematch that in such a short window, so Smashwords is your best bet, especially since it supports every major ebook format. I wish you all a Merry Christmas, and hope you all have an amazing new year. Tour Recap and Giveaway Winner! Thank you, everyone who stopped by during the Making Connections Spear Mother Blog Tour and helped make it such a success! It got a lot of exposure thanks to you all of sharing and participating. Hopefully, people who were itching to read something like Spear Mother will lead happier, more fulfilling lives as a result of the blog tour (hey, I can dream, can’t I?). Elated doesn’t begin to describe how I feel. Linda Bass!! She decided to go with the $25 Amazon gift card, and she was very excited to win. Congratulations, Linda! The hosts would love to know what you think, so join in the convo by leaving a comment detailing your thoughts on the tour and Spear Mother, your innermost feelings about the universe, favorite family recipes, etc. A while back I had a campaign to lower the price of Dark Tree to nuthin’, and it was a smash hit grand success thanks to all the help I received from y’all. Now, I’m a cheapskate like you wouldn’t believe, and I watch ebook prices like some people watch the stock market. I might even be more fanatical than most stock brokers. So if you’re anything like me, you’ve been anxiously waiting for the latest ebook by your favorite fantasy author to be available for free. Well, whoever your favorite fantasy author is probably won’t be able to do that, but we might be able to do something about my book. That’s right. I’m talking about price-matching Spear Mother on Amazon. Every little nudge helps, so I appreciate everyone who helps out with this! We advise you proceed with caution as the entity known as Spear Mother has been known to cause heightened emotions, increased brain activity, and (in outlying cases) titillation. You have been warned. If the claim of the Spear Mother’s presence on Smashwords proves true, it provides incontrovertible evidence that the Spear Mothers are multiplying. The nation’s leading scientists have already issued a statement saying that this could lead to more sightings of the fabled being at Barnes and Noble, iTunes, Kobo, and other ebook retailers. Details of the timeline of such events are forthcoming, though one of the scientists who issued the statement (name withheld by request) said the effects would certainly be devastating. After the release of the statement, we reached out to the other scientists involved, but have received no response as of the time of publication. Local authorities have declared them all missing persons, and are currently operating under the assumption that the Spear Mother(s) have sought the scientists out and challenged each of them to one-armed arena combat deathmatches. At this point no bodies have been found, but funeral services will be held for them anyway at St. James Memorial Cemetery in Newdirk, New Jersey this Saturday afternoon. 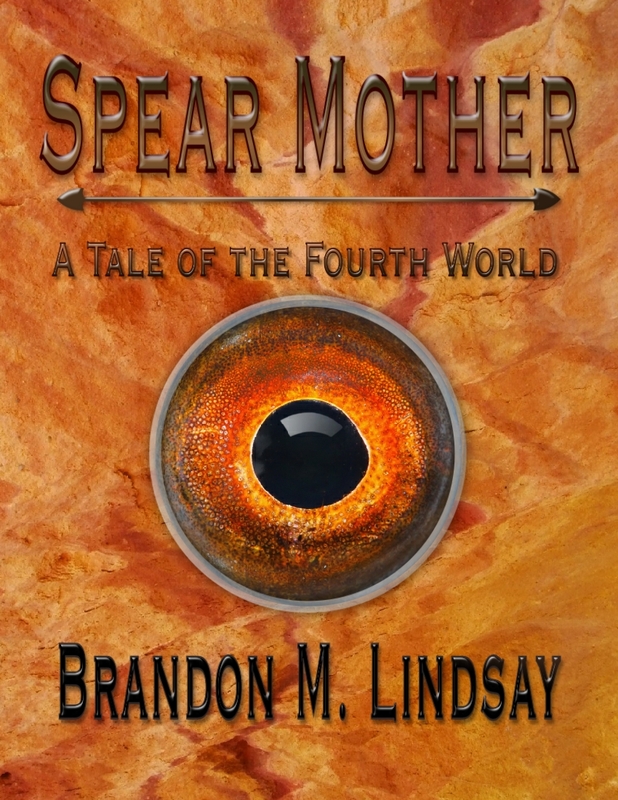 Cover art for the new release, Spear Mother. I am pleased to announce that Spear Mother, a new 24K-word novella, has been released for Kindle! I apologize that it has taken this long to release, and would like to thank everyone for their patience. I hope that, after reading it, you will feel that your patience has been rewarded. Although everything I have written is special to me (especially when it’s what I’ve written most recently), this one is particularly so. Evoking an emotion is one of the most critical and fundamental tasks of any art, and literature is no exception. While I’ve never been one to shy away from powerful emotions by any measure, with Spear Mother I had a specific goal in mind – to create a story that evokes deeper, more powerful emotions than anything else I’ve written. I feel I have succeeded, though I’d love to know your thoughts in the comment section (or, even better, please write a review on Amazon!). In other news, I have moved back to Japan. There are many reasons for this, not least of which being Japan is just an awesome country, but there was a writing-related motive as well. One of the reasons I love epic fantasy is its incredibly broad scope, geographical as well as historical. Living in the most modern country in the world, one with a history that only went back a few hundred years, couldn’t really serve as a model for the timeless worlds that I like to create. America is a very young place compared to much of the world. And as much as I love books, I don’t use them to research cultures very often since it often seems so fruitless – I’m more concerned about the tiny details of how people lived than with the abstract and broad sweep of events that fill most historical books. That’s what I really want to know about, so I opted for a more hands-on approach. Thus I decided to pick up and move halfway around the world. It’s paying dividends. While Japan is a modern country, with skyscrapers and tech companies and giant robos, much of it is very rooted in the past, which sure is useful for someone who wants to immerse himself in a wildly different culture. It has me thinking about those tiny details that I love in the best fantasy stories, the ones that make you believe you are really there in the place that the author is describing. Those details have always seemed so elusive to me before, and honestly the best of them were borrowed from other people’s imaginations (a practice I am shamelessly fond of). Now I get to steal them from my own experiences. Woohoo! You will likely see them in some form in the new project (The Fall of the Moon – working title) when it is released. Speaking of which, a lot of development has gone into that project of a form that is very uncharacteristic for me – outlining. Plotting has always meant having a few dots in mind, representing key aspects of the story, with the connecting of those dots being done in the act of writing. While I have done some outlining in the past, it has mostly been at the chapter/scene level. This time, however, I have outlined the last third of the book. I was so astonished with how useful that was that I may be inclined to do it again sometime. We will see. From the time when I was a tiny tot, I’ve been rather curious about how the world works. While other kids were busy playing soccer, I was going to garage sales to find chemistry sets and electronics kits. When other kids went with their friends to the beach, I would go trilobite hunting at a known, high-density fossil site, pickaxe firmly in hand, dewy eyes shining in the desert sun. The world was my playground, and discovery was the name of the game. Fast-forward a couple decades, and I’m still playing the same game, but in a different playground: the worlds that I create for my fiction. I still want to know how everything works, and I’m not satisfied until I finally find the answers. My own worlds are no exception; the only difference is the rules of nature are determined solely by me. While world creation may sound a bit easier than figuring out the principles underlying the behavior of quantum particles (because you’re just making stuff up, right? ), the process of discovery has a distinct advantage over that of creation: the rules of nature are already consistent with themselves. When one creates his own universe, however, such an expectation of consistency is not automatically assured. The reason I bring that up is this: I have recently discovered that my own creation, namely that of the Fourth World, has some issues that need to be solved, particularly as it relates to The Born Sword. Working in a fantasy world as strange as the Fourth World has its perks, but it has definitely worked my worldbuilding problem-solving muscles. There are certain philosophical questions that arise in such a bizarre universe, and while I get all frothy-at-the-mouth excited when it comes to questions like that, discovering the answers to such questions and then integrating them into a coherent story is a task that will simply take a little more time than I had originally expected. If it sounds like I’m giving up on that novel, I want to assure you that I’m not. I want The Born Sword to be the best it can be, and that’s going to require some fixing. The reason I’m telling you this is because I have given you the expectation that it would coming soon, so very soon, but I would like to now temper that claim with some realism. I’m not one of those people who like to say that utopia is just around the corner, as long as you continue to demonstrate a little more patience. I prefer to tell it how it is. Like any writer I’ve ever heard of, I’ve got quite a few stories in me, some of which are more suitable to setting and style different from the ones I’ve already written. As such, I’ve been working on another novel in a completely different world on the side for a while, and in light of the issues cropping up in the writing of The Born Sword, this new novel has recently become the main focus for my attention. It started out as merely something that kept me writing while I was working out the problems in The Born Sword, but has become something much, much greater. It is, I believe, going to be as good if not better than anything else I’ve written. I’m really, really excited about it. The working title of the new novel is The Fall of the Moon, but that will likely change as a result of a change in direction the story has undergone since I came up with the title. One of the nice things about this new book is that I’ve specifically built in a resistance to the kinds of issues that I’m working on in the Fourth World. It, too, is epic fantasy, but with a stronger focus on plot, character, and theme, and not as much on a crazy magic system (though magic certainly plays a significant role) that creates more problems than it solves. Stay tuned for more details on this new book. Of course, I am not abandoning the Fourth World at all, not even in the short run. In fact, I’ve got a completed story that, once I finish with the polishing-up stage (and once I have a title for it), will be ready for your consumption. It will follow the same distribution pattern as Dark Tree: free on this website, free on Smashwords and all of its affiliated platforms, and (once they decide to price-match) free on Amazon. I am in love with this story. I think it might be the best one taking place in the Fourth World yet, and for those of you who are interested in the nuts and bolts of how the Fourth World works, it will illuminate some of the more metaphysical (if not the more troublesome) aspects of the universe. Speaking of which, I’ve created a lexicon of writings from the Fourth World regarding various aspects of its metaphysics some time ago. I’ve been trying to think of a good use for it, and I’ve decided that I will periodically post entries from the lexicon onto my Facebook Fan page. It was content in need of a home, and a page in need of content. A perfect marriage, if you ask me. If you’re interested in the more arcane aspects of the Fourth World, don’t hesitate to like the page here. For those of you who love the Fourth World stories and were really hoping to see The Born Sword sooner rather than later, I hope that this upcoming Fourth World story will sate your desire for now. If it doesn’t, well… know that The Born Sword will likely be released before the next Rothfuss or Martin book. At least I can promise you that much *winks roguishly*. And who knows? I may even suddenly realize everything needed to finish it and, in a surge of inspiration, get it done before the other novel. Either way, I will keep you posted. In other wonderful news, the brand new sister (brother?) review site to BestChickLit, called BestChapLit, posted reviews for Dark Tree and The Clans, as well as an interview with yours truly. If you’re looking to discover some good indie authors, I would definitely recommend checking out their sites. Furthermore! The Clans is now only $0.99 from all distributors (Amazon, Apple, B&N, Kobo, etc. ), so if you’ve been holding out because the economy’s got you down, now is your chance to read it without breaking the bank. Thanks for stopping by! I’m pleased to announce several new developments. First of all, the combined 5-day free promotion for The Clans through Amazon was a resounding success, with several hundred copies downloaded worldwide in that short span of time. I was absolutely floored at the response; I know that a lot of those downloads came from readers of my blog, and also from people who heard about it from them. From the bottom of my heart, I thank you all for helping out with this. The success of that promotion is due in very large part to all of you, and I want you to know that I greatly appreciate it. My hope is that people who are looking for something a little different in the realm of epic fantasy find it in The Clans, and opportunities to spread the word like this are some of the best ways for this to happen. Also, on that note, Dark Tree is now free on Amazon as a result of their price-matching policies—which, again, is thanks to all of you who helped out with the “Help Me Save the World” campaign I launched last month. This is huge, as it is likely that Dark Tree will stay free and thus will allow potential readers to become actual readers with no risk to their pocketbooks. I know that some of my readers became fans of the series due to trying out Dark Tree for free on sites like Smashwords, so having that available for free full-time on such a prominent site is incredible. Again, thank you to everyone who contributed in any way. Speaking of Smashwords, The Clans is now available there. When I first released The Clans, I had wanted to try out Amazon’s KDP Select program, which provided perks like the 5-days-for-free promotion (which was great) as well as the Kindle Lending Library (which didn’t do a thing for The Clans). However, it came with the caveat that no other site could offer The Clans for at least 90 days, so anybody who bought their books from other sites weren’t able to read it unless they got their hands on a Kindle app (a problematic situation if you mainly read on your Nook). I had heard a number of arguments for and against the program, and I knew that I would be taking a risk by participating in it, but I wanted to know one way or another if such a program could help get the word out for the Fourth World series. As I said earlier, the free promotion paid off, but it was at the expense of those who wanted to get the book from a different site. It was an interesting experiment, but I have determined that it would probably be better just to release future books to all sites and for all formats as soon as possible rather than allowing anyone to have exclusivity to it. After all, isn’t that what spreading the word is all about? Well, that’s it for now. I hope everyone is having a wonderful holiday season! See you next year!